Horrid Henry And The King of Bling: All Horrid Henry wants is a mobile phone, while all Perfect Peter wants is to be the King of Bling, dontcha know?! Horrid Henry Sells the School: Finally Horrid Henry gets the chance to do what he's always wanted - sell the school to the highest bidder! 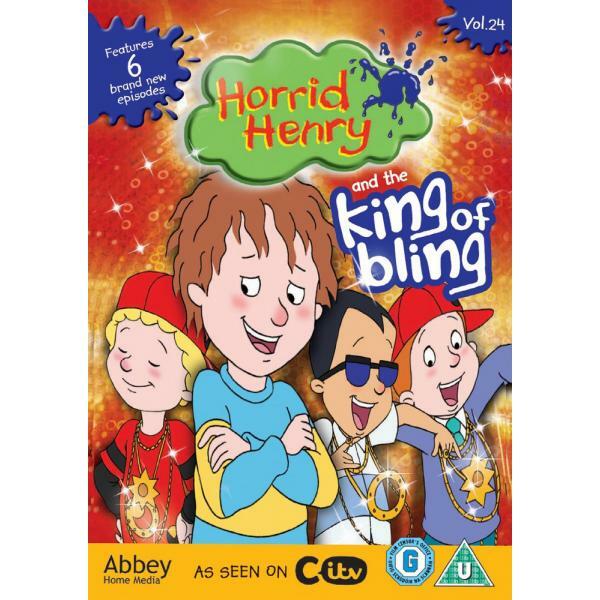 Horrid Henry And The Movie Star: Horrid Henry finds out what acting's all about when he lands a part in a movie, groovy! Horrid Henry And The Code Crackers: Horrid Henry and Rude Ralph will do anything and go anywhere in an attempt to crack the secret code, until Henry learns that sometimes the solution is right under your nose. Horrid Henry And The Terrible Teacher: When Miss Battle-Axe decides to take a holiday Horrid Henry reckons it's time to celebrate, but he's forgotten that sometimes you should be careful what you wish for! Horrid Henry Horrible Homework: When Horrid Henry discovers yet another way to not do his homework, Miss Battle-Axe decides to take him on, with unexpected results!